Hello, my name is Dory and I’m a native San Diegan. My passion has ALWAYS been about the voice. 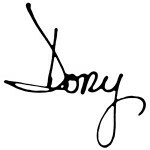 I originally was a Music Major at San Diego State University. While at San Diego State I was in Master Chorale with Dr. Frank Almond and studied singing with Larra Browning Henderson. The voice continued to fascinate me which led me to becoming a Speech Pathologist. After receiving my Masters in Speech Pathology at Wayne State University, I worked as a Speech Pathologist in the Poway Unified School District for 32 years. 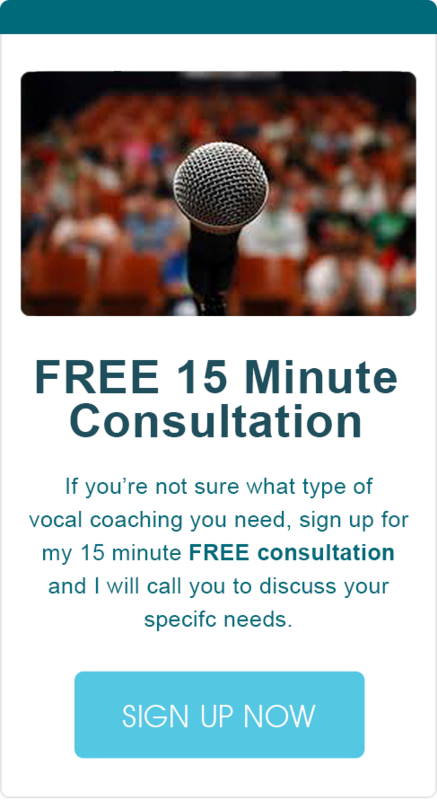 Since retiring, I opened a private practice in voice therapy. I traveled across the country enriching my skills regarding the professional and performing voice. 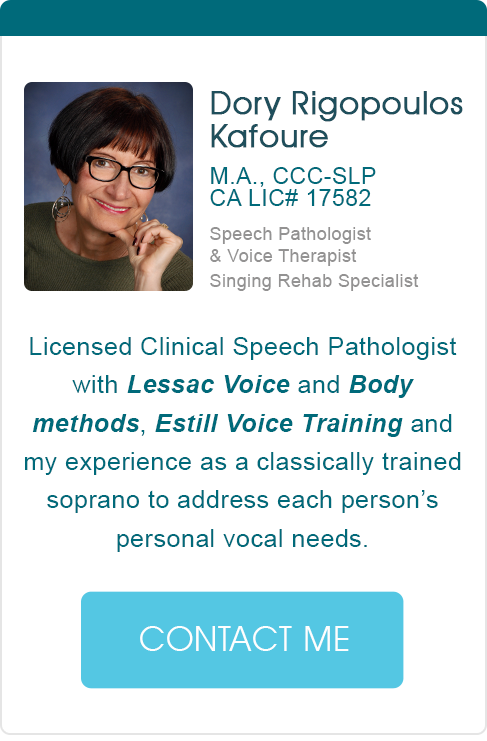 I keep my licensing and knowledge current by continually attending conferences, conventions and classes such as: The Voice Symposium, The Contemporary Commercial Voice at Vanderbilt University and UCLA Laryngology Update on the Performing and Professional Voice. 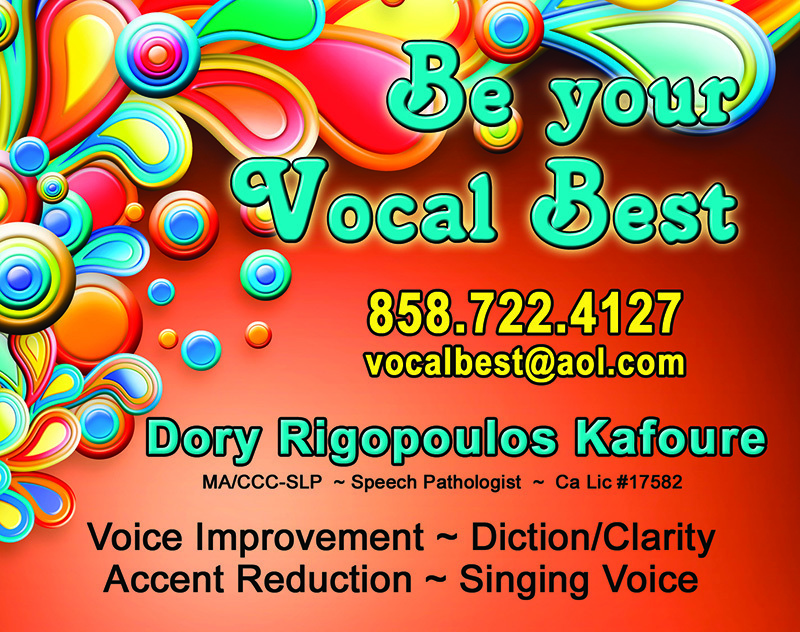 Practitioner for the Arthur Lessac Voice and Body Program. 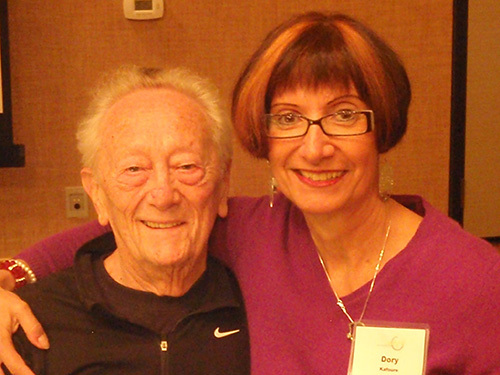 In 2014, I had the pleasure of meeting Arthur Lessac whose concepts for voice are the basis for the Lessac Madsen Resonant Voice Therapy program. 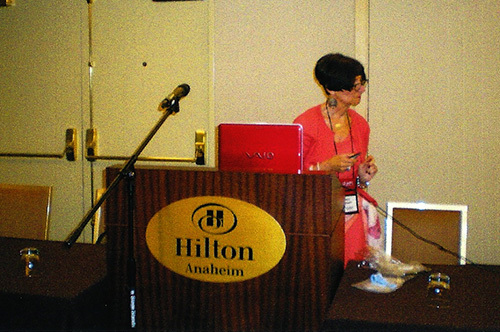 I was delighted to be a presenter on Vocal Health for the International VoiceOver Convention in Anaheim, Ca in 2014. I have been an annual guest lecturer for the Speech Pathology Department, California State University-San Marcos presenting on the Professional and Performing Voice. I’ve also given workshops for San Diego Junior Theatre and Theatre Arts School of San Diego. I love the individual challenge each person brings from their varied backgrounds such as: clergy, voiceover actor or musical theatre performer. I really enjoy following up on their progress by attending their performances, for example, and sharing in their accomplishment.